A number of companies in the chocolate industry are preparing to inject new investments into the market during the coming period as the economy recovers following the crises of the last two years. Chocolate production has declined in the last two years at rates ranging from 10 to 50% across many producers. The market expects a recovery of exports during the coming period as domestic alternatives that tried to benefit from the rise in the prices of imported brands recovered. Currently, two companies control about 72% of sales; namely Cadbury and Mars. Chocolate factories are trying to overcome the difficulties they face in the recent period through plans to increase exports and maintain their share in the local market despite the decline in purchasing power and high production costs. The government’s sharp reforms over the past year and a half, such as the application of the Value Added Tax (VAT) and the liberalisation of the value of the pound, have left its impacts on the consumers of this commodity, which reflects on sales that went down for many producers. Local producers are currently racing to expand overseas markets to compensate for the decline of domestic consumption, while imported brands are focused on high-income bracket customers, whose lifestyle has not been affected by the reform. Foreign Relations Director at Mars Egypt Mohamed Fawzy said that Egypt’s chocolate production fell by 10%, while purchasing power fell by 30%. He added that the low production capacity of factories is due to high energy prices, the application of VAT, and raising the interest on lending, which caused the final price to hike by up to 92%. 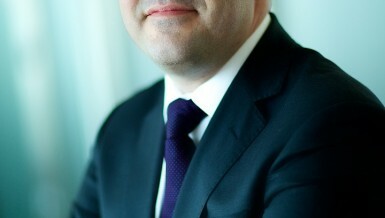 “Some companies did not benefit from the float in increasing their exports, given the high production cost and the long time that the General Organisation for Import and Export Control (GOEIC) takes to inspect the imported production input, compared to three days at most in some Arab countries,” he explained. Some companies have tried to focus on high-income segments or to address the loyalty of consumers to offset the impact of price hikes. Confectionery Business Executive Officer at Nestle North East African Region Mohamed Shahin said that the company’s Kitkat was not impacted much by the price hikes, as it maintained the same quality. He added that the company’s products have a high-income consumer audience who were not much affected by the rise in prices after the liberalisation of the exchange rate. Nestle in Egypt owns a factory in the 10th of Ramadan City which produces milk powder Nido, along with Nesquik, Kitkat chocolate, mineral water, and Nescafe. But companies that still target lower income segments followed other strategies to save their sales, including the gradual roll-out of cost increases to consumers, but suffered nonetheless. Marwan Shennawy, chief financial officer of Covertina, said that the float raised the prices of production inputs and wages, which contributed to lowering the company’s production capacity by 30%, falling from 150 tonnes per day to 100 tonnes. He added that the company did not raise the prices of selling its products in the local market to maintain its market share and continue to compete. He explained that the purchasing power of chocolate consumers decreased by 30%, as consumers turned to securing their basic needs first. Covertina was founded in 1963. Its capital has since reached EGP 50m now. It exports 50% of its production to 45 countries, including Ethiopia, Uganda, Senegal, Malawi, Ghana, Cameroon, Congo, Qatar, Bahrain, UAE, Algeria, Romania, Canada, and Korea. Shennawy said that the floatation did not contribute to increasing the company’s exports despite the depreciation of the pound due to the quality and specifications required abroad. Swiza Sales Director Makram Hashim said that the company’s production halved from 80,000 tonnes in 2016 to 40,000 tonnes in 2017, following the float as production inputs costs hiked. He added that the company was able to overcome the production costs hike to the final products to achieve sales worth EGP 12m last year, up from EGP 11m in 2016. The company aims to raise its sales by 10% this year and to return to its full production capacity. Hashim explained that the company supplies its entire production to hotels, considering its proximity to Alexandria, noting that the recession that hit the tourism sector reduced hotels’ share of the company’s production. Ahmed El Fendi, chairperson of Sima Group, said that the company’s production fell by 30%, as production costs hiked by 60%. He added that purchasing power fell by almost half over the past year to local products, while imported chocolate was not affected as they target high-income segments. Moreover, Mohamed Magdy, marketing director at Corona, said that the company raised the prices of its products by 5% in 2016 and by 10% in 2017, then by 5% early this year. He added that the volume of company sales fell by 20% last year, noting that the company aims to, once again, return to Arab and African markets following 8 years of hiatus, so as to offset the decline in local sales. Magdy explained that the company sent shipments to the countries of Saudi Arabia, UAE, Canada, Guinea, Uganda, America, Germany, and Sudan. There are a number of other international companies in the Egyptian market, including Cadbury, which owns Mondelez Egypt Foods, with two factories in the 10th of Ramadan City to produce chocolate, and a third plant in Alexandria for dairy products. It exports to 35 countries, including North Africa, India, China, New Zealand, Singapore, and South and North America, next to allocating 50% of production to the domestic market. The company’s sales in the Egyptian market amounted to about EGP 1.4bn in 2016, with a market share of 40% of the chocolate market in Egypt. A number of companies involved in the production and marketing of chocolate in Egypt intend to pump new investments in the sector in the coming period, with the aim of targeting new export opportunities. Among the companies are Mars, Corona, and Sima. 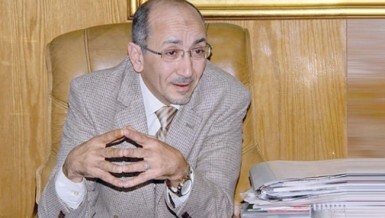 Mohamed Fawzy, director of foreign relations at Mars Egypt, said that the global Mars Group intends to increase its investments in Egypt by establishing two production lines to output Galaxy and Jewels chocolate with investments of $50m and a production capacity of 50,000 tonnes per year. He noted that the new expansions will create 1,600 direct and indirect jobs. Mars Group owns the brands of Bounty, Twix, Galaxy, Mars, M&M, Snickers, and Moro. Locally, it produces Twix and Galaxy, with the intention of producing Jewels. He said that the company aims to increase the proportion of exports to 90% of domestic production, up from 75% now, after the establishment of the new lines, which could boost the company’s exports from Egypt to $100m per year. The company’s sales in the local market at the end of last year amounted to EGP 1bn, while exports scored $42m. He added that the new lines will contribute to increasing the volume of the company’s investments in Egypt to EGP 3bn, while Mars group investments register some $40bn. Mars investments are vital for the company in Egypt, as it faces fierce competition with Cadbury, which accounts for the largest market share at 44%, while Mars owns 28%. Both companies only account for 72% of the total local chocolate market. The tourist sector has recently recovered with the improved attractiveness of Egyptian destinations as a result of the liberalisation of the pound, and the faded impact of terrorist operations. 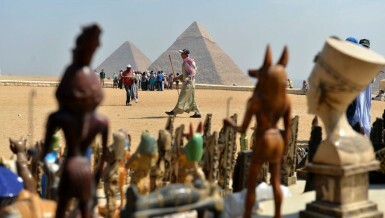 World Tourism Organization said last month that the number of tourists who came to Egypt jumped by a rate of 55% last year. Chairperson of Sima Group Ahmed El-Fendi said that the company is also considering the establishment of two production lines this year to raise the efficiency of its products and target through focusing on high-income segments to increase sales locally. Sima Group was founded in 1961. It now owns three factories to produce chocolate, bonbon, gum, wafers, and lollipops with a capacity of 20,000 tonnes per year. As for Mohamed Magdy, marketing director at Corona, he said that they plan to establish a new plant in the industrial district of 6th of October City this year, which will secure the company’s needs of cocoa and is expected to be inaugurated by mid-2019. In addition to the new production lines that the current producers intend to launch, the market for new products expanded by companies, including companies that did not produce chocolate or any of their derivatives, to benefit from the variables in the market following the reforms and the price hikes. A number of companies offered alternative products to those imported, but many of them came in significantly lower quality. A recent Euromonitor report for market studies said rising prices and inflation were the hallmarks of 2017. Yet, despite these huge price leaps, companies and producers continue to offer new products and spend on marketing. They also re-introduce old products to maintain their market shares. According to Euromonitor, Cadbury, under Mondolez Egypt, accounts for 44% of the local market in 2017. Mars followed in second with a share of 28%, then Nestle with 8%. 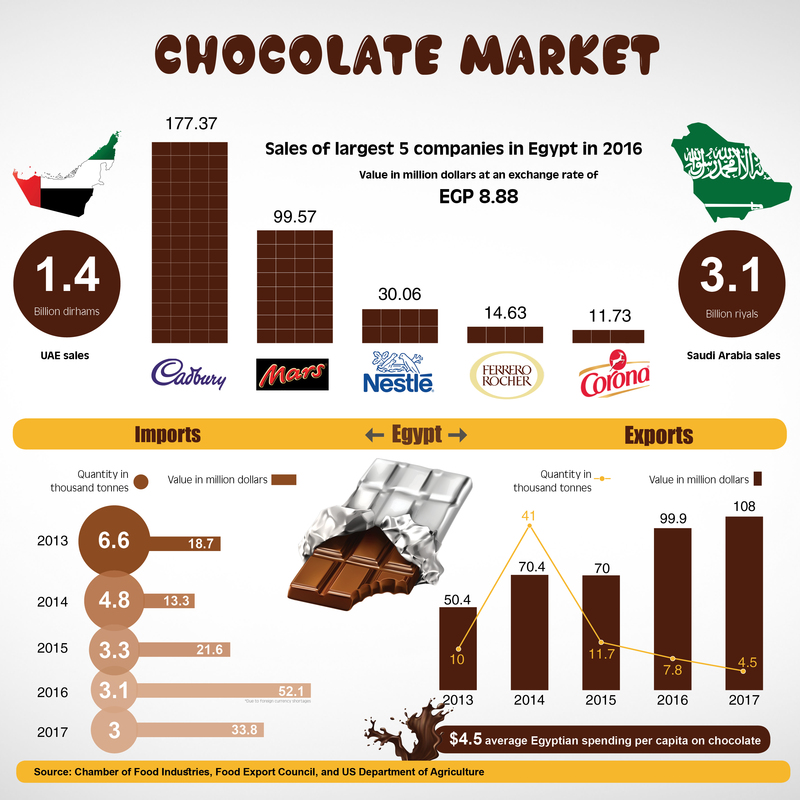 The report pointed out that the chocolate market in Egypt is dominated by global brands that are manufactured domestically, pointing out that local manufacturers tried to produce high quality at low prices, but this did not change the shape of the market. Euromonitor expected chocolate sales in Egypt to continue to slightly grow in quantity in 2018, adding that prices would increase shyly as operation and transportation costs rise. Yet, companies will expand in offering new products at lower prices to maintain sales. A report by the US Department of Agriculture said the largest five countries in terms of sales in Egypt during 2016 were Cadbury ($177.1m), which outperformed Mars with sales of $99.6m, Nestle with $30m, Ferrero with $14.6m, and Corona with $11.7m. The problems experienced by famous chocolate brands, which have become expensive for many consumers, have revived the alternatives that local factories have tried to offer at a lower cost to take advantage of the sudden support provided by the pound float. Food factories in Egypt have launched cocoa and chocolate products similar in shape to imported products whose prices have doubled under the weight of VAT, the liberalisation of the pound, and increased customs duties. In a bid to restore its laurels, El Shamadan, best known for its wafers in the 1990s, introduced a new product named Pure, which was marketed as a substitute to the imported Kitkat produced by Nestle. Another product of Nestle now racing against local companies is Nesquik. Several Egyptian companies introduced alternatives, as the original brand price soared, including Cooks and Five Minutes. The most famous alternatives that appeared in the local market for international chocolate products was Moltobella, the Egyptian version of Ferrero’s Italian Nutella. Ahmed El-Fendi, a member of the board of directors of the Chamber of Food Industries, said that the alternatives of chocolate produced locally either bars or creamy have been available in the market for years, but consumers only saw them when the imported versions were no longer an option from them. The local manufacturing of chocolate and Nutella was not the main problem, but the importation of raw materials of cocoa and butter was the main challenge, he said. Some brands such as Finta and Nutkao have also spread at prices that fit the reach of middle-income segments of the Egyptian society. Despite the many similar products to that of Nestle, the company is not worried. Confectionery Business Executive Officer at Nestle North East African Region Mohamed Shahin said that the company was not impacted by the new Egyptian products, given the quality gap that weighs in for Nestle. He added that the company targets high income segments who are not affected by the high prices of their products in the local market. Egypt has made major reforms to change the course of the economy over the past two years, including the shift to the Value Added Tax, which raised the tax imposed on it from 10 to 14%. The government also raised customs duties on a large number of imported goods, including chocolate, which is now liable to 40% customs, up from 20%, except imports from the European Union, which fall under 13% customs and 17% for Turkey. The Food Export Council said that Egyptian exports of chocolate reached $108m in the first 11 months of last year. It added that the value of black chocolate exports amounted to $88.9, while that of white chocolate scored $19.1m. According to data from the Chamber of Food Industries of the Egyptian Federation of Industries, Egypt’s imports of chocolate in 2017 fell to $33.8m, down from $52.1m in 2016. 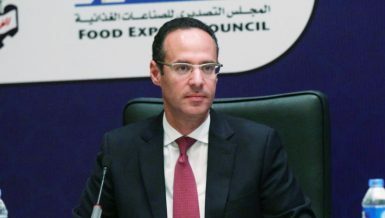 The chocolate industry, like other industries, was affected by the economic reform measures taken by the government at the end of 2016, said Mohamed Shoukry, vice president of the Chamber of Food Industries. He added that 95% of the raw materials used in the chocolate industry are imported, including cocoa, butter, powdered milk, and sugar, in addition to the import of types of manufactured chocolate for sale in the local market. He pointed out that the volume of production of chocolate factories in Egypt decreased by 25% after the float as raw material prices increased, which led the purchasing power to fall by 20%. 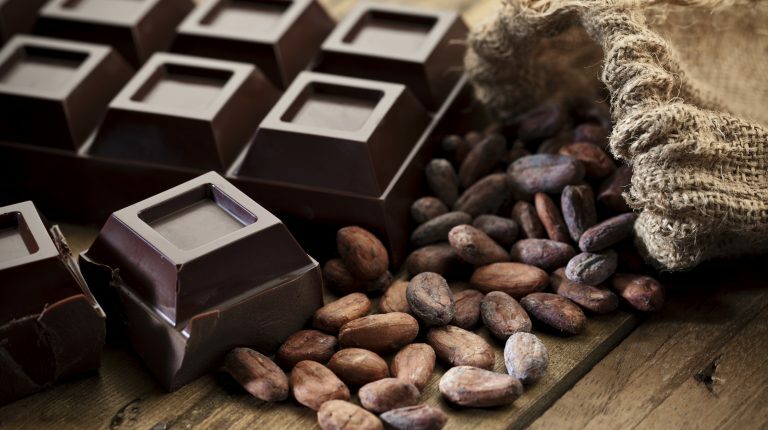 In addition, Shahat Selim, head of the chocolate division at the Chamber of Food Industries, said that Egypt is exporting chocolate to the markets of Algeria, Libya, Yemen, Saudi Arabia, and some African countries within the COMESA Agreement. He explained that it is difficult to export to European countries, due to the high customs tariff on sugar products. He added that Egypt is facing difficulties in exporting to west African countries due to the high shipping costs and the absence of direct export lines. Africa exports cocoa beans to European countries to be grinded for cocoa extraction. Egypt has only one factory to grind cocoa, but the high costs shrunk the factory’s production. He added that after the Arab spring revolutions, Egyptian exports to Syria, Libya, Iraq, and Yemen stopped, while the Gulf countries, especially Saudi Arabia and the UAE, took the largest share of exports of Egyptian chocolate. He explained that the number of companies producing chocolate in Egypt reached 238 based on the latest statistics of the chamber. In an effort to facilitate the task of searching for different types of chocolate, Bow&Ark opened the House of Cocoa mall, to become Egypt’s first chocolate mall. Located in New Cairo’s Downtown area, House of Cocoa offers a vast variety of chocolate produced by Bow&Ark and other imported brands. Ayten Halim, marketing manager at Bow&Ark, said that the company’s production volume was affected by the float and the inflation that followed, yet, sales remained untouched. She added that the company imports raw chocolate from Belgium and manufactures it locally in the company’s plant in the industrial area of Abo Rawash, then adds new flavours that were previously unavailable in Egypt. 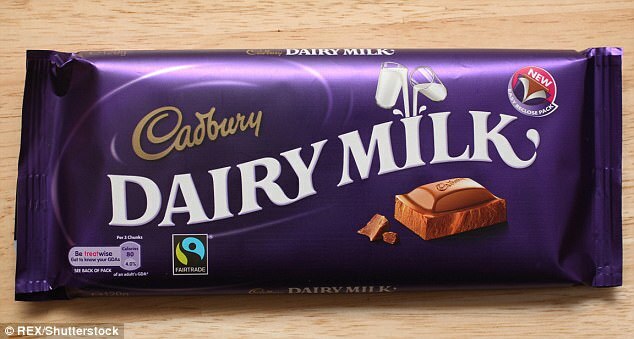 Prices of chocolate bars range from EGP 20 to EGP 50, while the price can go higher when buying in kilograms. “The company is targeting the high-income segment,” Halim said, noting that the mall was opened in a distinctive area in New Cairo, so sales were not affected by the recent economic changes. House of Cocoa sells different brands of chocolate, including Prestat, Lindt, Milka, De Schutter, Dolfin, Heilemann, Ritter, Fudges, and Gnaw. Halim said that the company has branches in the areas of Maadi and Korba in Heliopolis and a branch in the Saudi German Hospital, and aims to open two new branches in the First Settlement in New Cairo and Mall of Egypt in 6th of October City this year. “Despite the prices changing, the company did not raise selling prices, as the main reason is to offer distinctive brands of chocolate and not profit,” she stressed. Finally, she noted that the company is facing several challenges this period, such as the high cost of imported raw materials that cannot be provided domestically. Bow&Ark was founded in 2012. It is an Egyptian joint stock company of 50 employees, subject to increase following the new expansions.